We reaffirm the barometric potential of our amphibole-plagioclase thermometer for rocks where (and only where) the final equilibration temperature is very well constrained. In the advantageous case of granitoids with simple thermal histories this temperature may be the wet granitoid solidus at the pressure of interest. 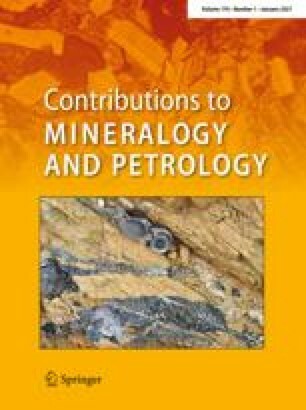 We emphasise the need for careful petrographic assessment of equilibrium between plagioclase and amphibole before attempting total-Al barometry and recommend that a relatively large number of pairs are analysed for each sample. In rocks with complex post-consolidation or fluid-flow histories such barometry requires an independent means of determining amphibole equilibration temperature.